Bryan's On 290 is a fine restaurant in Johnson City in Austin's famous Hill Country. Bryan uses Wordpress to maintain his website and update his menu as it changes. He also uses a plugin to take reservations and sell tickets to events. 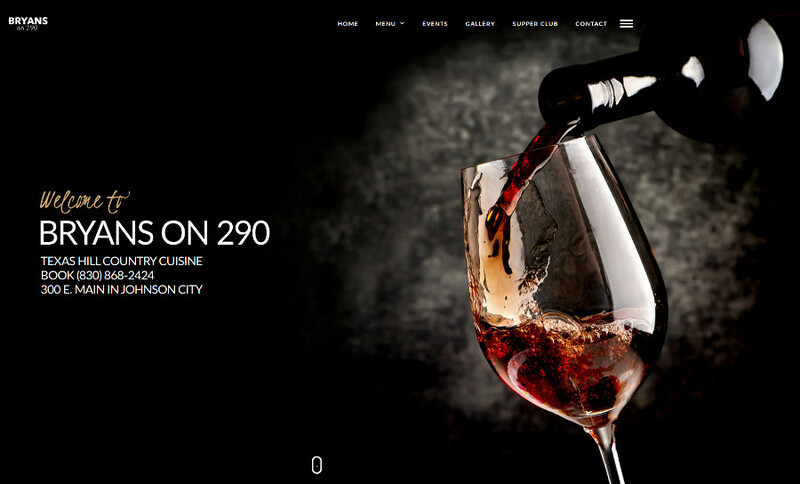 Bryan's on 290 use Wordpress to maintain their website. 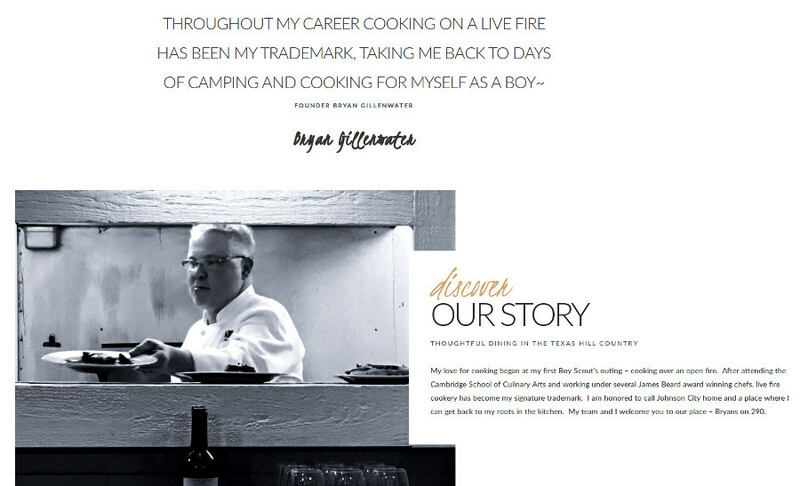 Bryan Gillenwater is a popular chef in Austin Tx. He maintains his own website using the Wordpress backend. 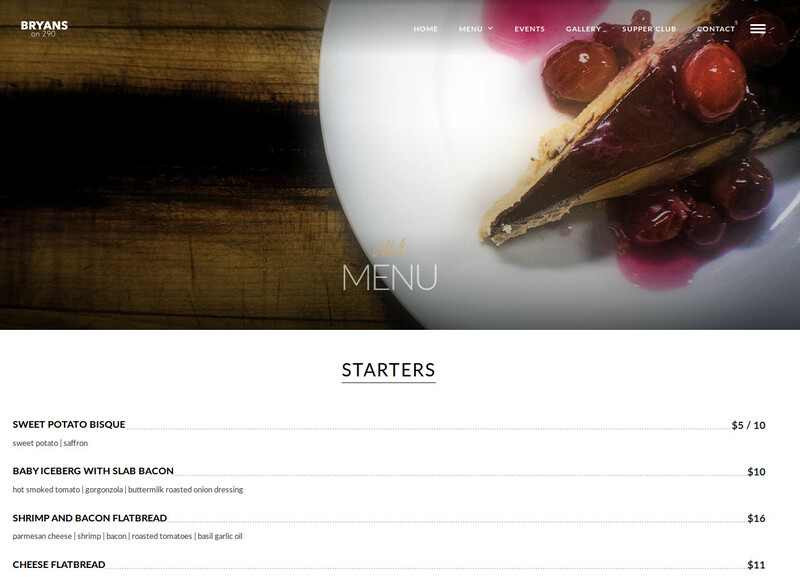 Bryan maintains his menu using a Wordpress plugin specifically built for restaurants.